World Book Day was celebrated at St John's with a special morning assembly at which the winners of our postcard competition were presented with their prizes. 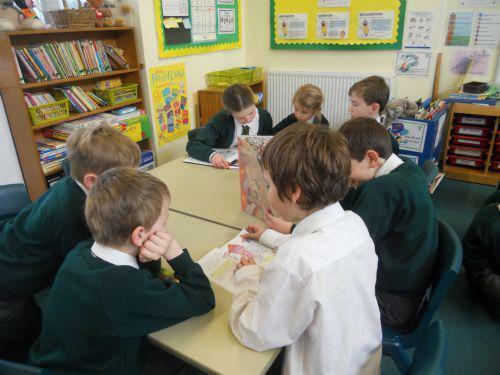 At the start of the afternoon, the staff went to visit a class that they do not normally teach. There they read a favourite book to the children. 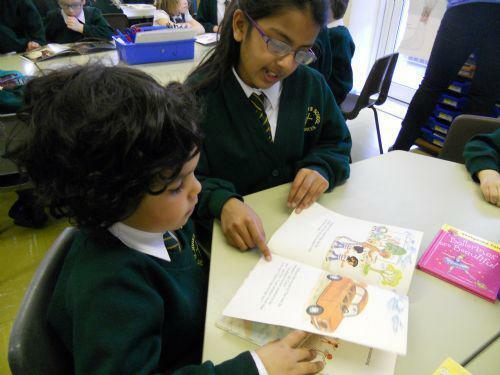 Later on, children from years 5 & 6 shared books with children in the First School, a really enjoyable event. 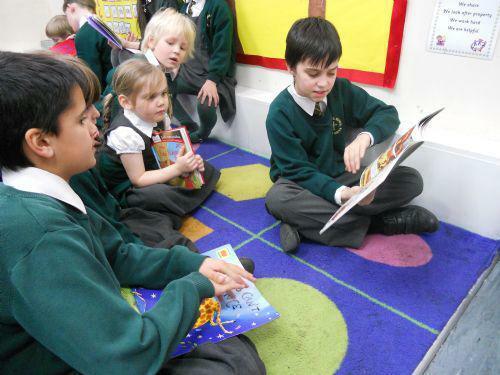 At the end of the day, all children were presented with a £1 book voucher to use when next purchasing a book. Some took advantage of this, after school, at the visiting Usbourne Book Stall. 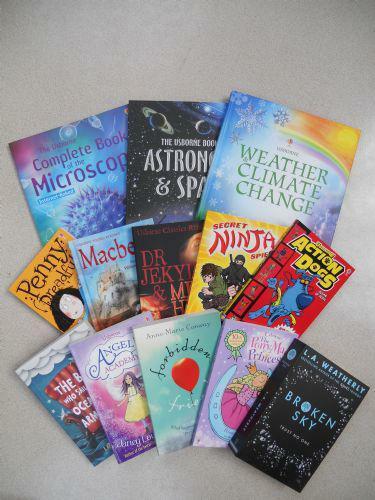 We are pleased to report that as a result of the success of the book sale, the school has received £100 worth of books!